Raising the quality standards of service and auto body repair for over 25 years. WHY CHOOSEMORREY AUTO BODY AND GLASS? At Morrey Auto Group, you’re in good hands. We aim to be the leaders in the collision repair industry in terms of technical skills, equipment, and the quality of our work. At the Morrey Auto Body and Glass centre, our ICBC-Accredited Repair and Valet Auto Body team has over 25 years of experience in smooth, stress-free repairs. 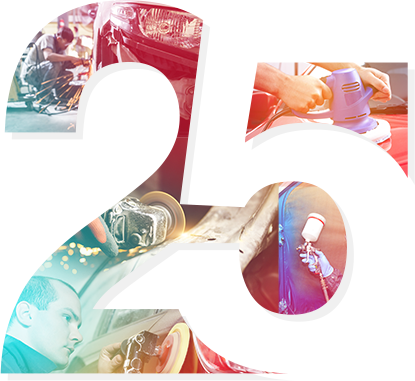 We strive to be the industry leader in quality auto body repair. Customer satisfaction is of the utmost importance, and keeping you informed and comfortable throughout the experience is our goal. With our new state-of-the-art facility, we’re equipped and ready to service all makes and models. The entire team at our collision centre in Burnaby, Coquitlam, and North Vancouver looks forward to treating you to their courteous and expert care.